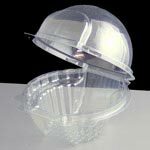 We supply a range of hinged top plastic cupcake boxes, containers and pods. 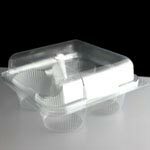 Made from ultra-clear food grade plastic they are the best way to package and show off your beautifully decorated cupcakes on the shelf. 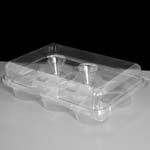 A hinged plastic cupcake box suitable for holding 4 cupcakes. 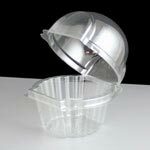 Cardboard Cupcake Boxes are also available. 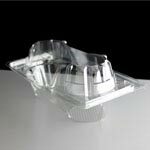 We also stock a range of cardboard cupcake boxes in a selection of sizes shapes and colours. Click on the image below to view.